Pressure is growing on Georgia’s president as the opposition is threatening civil disobedience. On Friday, protesters gathered near his residence, pelting it with carrots and cabbage, and calling him “a rabbit." 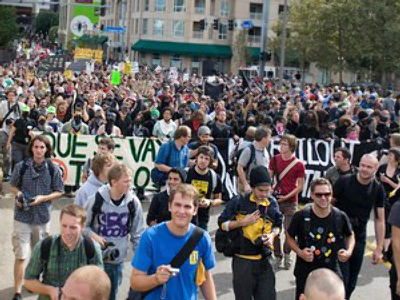 They have vowed to stay on the streets until the President – who they believe brought the country to a deadlock – quits. 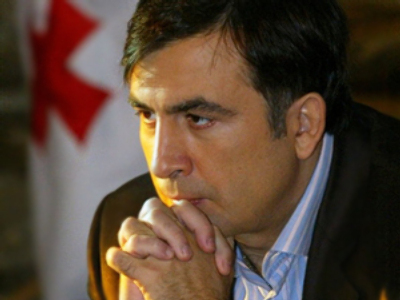 Saakashvili, however, rejects the demands, and says he won't go anywhere before the end of his term in 2013. 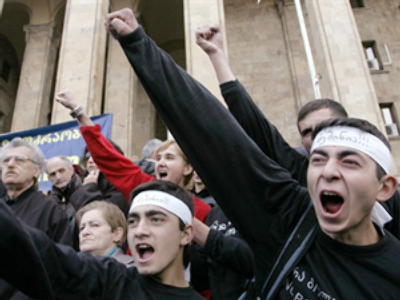 Friday was the second day of opposition rallies in the capital of Tbilisi. In the afternoon, after the ultimatum for Mikhail Saakashvili to step down expired, protesters announced a campaign of civil disorder. 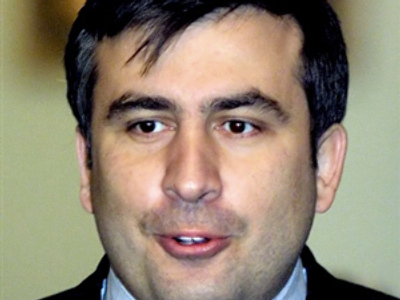 They marched through the streets of the city, blocking public transport, and gathered at Saakashvili’s residence. "The president of Georgia is a rabbit! He is afraid of his own people, and we will bring him carrots and cabbages every day." Worthy of note, the special police forces who were guarding the house accepted the whole thing calmly. 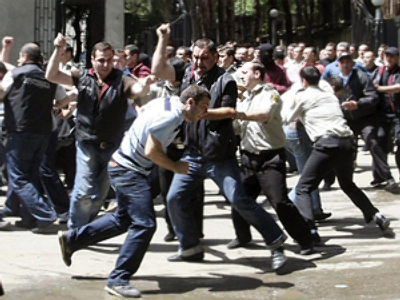 Earlier Eka Tkeshelashvili, secretary of the Georgian National Security Council, promised that police wouldn’t hamper rallies at the road leading to the president’s residence, and also, at the state television broadcast building. She added, though, that “civil disobedience is a very general term which shouldn’t be confused with unacceptable forms of protest." About 30,000 people took part in the protests, which is fewer than on Thursday, when up to 120,000 demonstrators took to the streets. 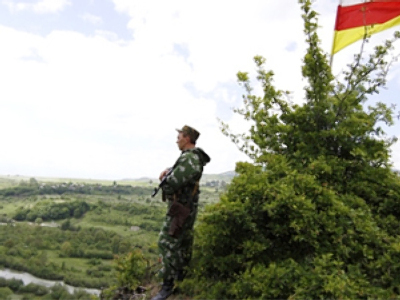 "The president of Georgia agrees to have dialogue with opposition leaders, but without insults and ultimatums, in a calm and businesslike atmosphere."